As we continue Canada's busy summer of soccer the next major event is the Pan Am games where both men's and women's tournaments will be played and medals are up for grabs. Unfortunately, the Men's Soccer Tournament has generated the similar blasé as many events going along with the games. Limited coverage and poor sports-specific marketing coming up to the games doesn't make it feel like an event, meanwhile to follow the matches live you will need to travel to Hamilton or watch the new "go to" for Canadian Soccer fans the online stream. Looking at the rosters for the tournament they are a bit of a disappointment as well, Canada has a strong team despite missing Gold Cup participates Cyle Larin and Samuel Piette. 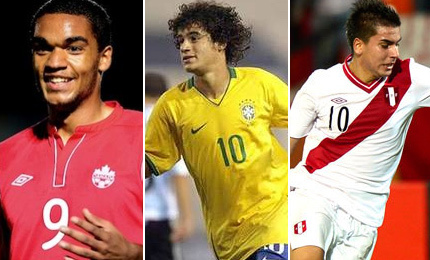 However, countries who have real promise such as Brazil, Mexico and Uruguay have sent weaker teams based on the maximum 22 years old age restriction and although there is a few players to watch, this tournament doesn't provide the expected excitement that a World class football tournament should. Most players included in the tournament are players, with a few exceptions, who are just starting as professionals and have played only a handful of games at that level. The one major exception to this is Paraguay and I will say they are my pre-tournament favorites with a combination of both talent and players who have played a number of league games including games in the Copa Libertadores. Pre-tournament favorites for most would be Brazil, and have one name that will be known by many followers of the game worldwide, as well as a few interesting prospects. While finally, the Canada's Men's team should be competitive in the tournament and it would be a disappointment if they don't make the medal round. It is unknown if players like Piette or Larin will be representing Canada at the Concacaf Olympic Qualifying tournament in October. If not, Canada's Pan Am roster should be similar to the roster in October with expectations on Canadian USL and NASL players such as Toronto FC's Chris Mannella, Manny Aparicio and Molham Babouli, FC Montreal's Maxime Crepeau, Jeremy Gagnon-Lapare, Louis Beland-Goyette, Vancouver Whitecaps' Jackson Farmer and Celeb Clarke and FC Edmonton's Hanson Boakai. For the most part these Canadian teams have struggled in league play this season but are offering these players minutes against comparable competition. Interesting additions are Alex Comsia and Kevon Black who are both heading to the States to play Division 1 College soccer, Manjekar James who played with Canada in the World Cup Qualifying and also plays in Hungary, and finally Jonathan Grant who I talked about in my players overlooked by the MLS ,although the Sigma FC Academy player recently signed with FC Montreal. This might be the first tournament to include Canada with no players in this age group who are currently unattached. With Brazil recently playing in the U20 World Cup, they've joined the Women's World Cup teams in terms of have issues playing games on turf. Brazil have brought their "B" team in regards to the age group. 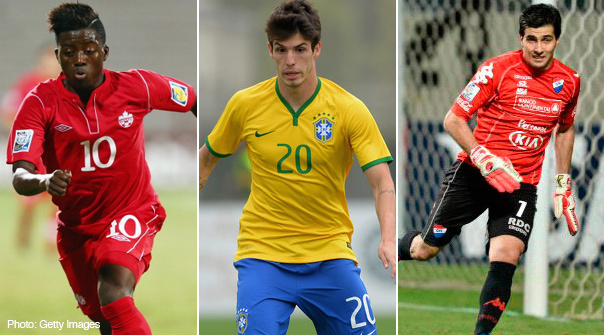 The one name that might be familiar is Chelsea's prospect Lucas Piazon who has been on loan with a number of clubs across Europe. The 21 year old was bought by Chelsea for £5 million plus incentives but he has only played one EPL game and been loaned to Malaga in Spain, Vitesse Arnhem in Holland where he scored 11 goals and Eintracht Frankfurt in the Bundesliga. Other interesting prospects to watch are fellow forward Luciano who scored 6 goals in Brazil Serie A last season and Dodo who has been impressive in limited first team action with Atletico Mineiro. The squad does have a number of players who made their debut in Brazil Serie A and despite a lesser squad, Brazil should be a guaranteed medal winner. Panama made the Pan Am games through a qualifying tournament against other Central American countries. Although the player that led them to success, Ismael Diaz, is not in the tournament, instead being part of the Gold Cup squad reserves. Panama is missing an additional seven potential players because of the Gold Cup and bring a fairly weak side to a program that has been improving greatly for the past few years. The only real name of significance based on proven performance is Cecilio Waterman who has played the last four years in the Uruguay Primera, while Francisco Narbón played NCAA Division One soccer and Jairo Jimenez is in a youth program in Spain with Elche. Of all the teams in the tournament, Paraguay seems to be the most ambitious bring in a number of prospects at this age level who are regulars in the Paraguay Primera and also on top clubs so have played in the Copa Libertadores. Ignacio Don is regarded as one of the top young keepers in South America and has been Nacional's number one keeper both in league and Libertadores play. Robert Piris, Derlis Alegre and Walter Clar are everyday starters for their clubs in Paraguay and are regarded as three of the top midfielders in that league. While Cristian Coleman is a striker many are looking at after scoring 15 goals in his first season as a pro. Outside of FC Basel star Derlis González, who was playing with Paraguay at the Copa America, Paraguay is bringing their best squad they can and with experience in all aspects of the game, so I have them as my surprise winners. Uruguay chose players who all play domestically in the Uruguay Primera and elected to not bring any players from the their U20 World Cup team. They did bring a player who is an interesting prospect in Michael Santos who scored 21 goals with River Plate this past season, and along with strikers Nicolás Albarracín and Brian Lozano they should be threat in scoring goals. On defense they will rely on Federico Ricca who is regular with Danubio and Keeper Guillermo De Amores who won the 2013 U20 World Cup top goalkeeper, although his club Liverpool now play in the Second Division. Uruguay will be in tight with Paraguay and Mexico in terms of qualifying to the medal round from this group. Mexico, who has had a busy summer of soccer with U20 World Cup, Copa America, and Gold Cup has elected to bring a roster like Brazil with minimal experience when it comes to representing Mexico at the national level. 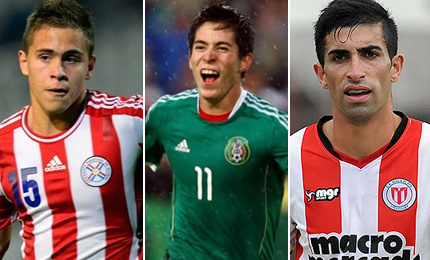 The club does include some players who play in Liga MX. Marco Bueno who plays with Leon has the most experience and actually participated in a friendly game against the US senior national team in April. The rest of the club have more experience with their clubs reserve team than first team, although the strength of this squad is their defence which should keep them in games against Uruguay and Paraguay. Trinidad qualified through the Caribbean Zone beating teams such as Cuba, Haiti, Curaçao and Suriname, although didn't have to deal with their biggest threat Jamaica as Jamaica couldn't qualify as they hosted the CONCACAF U20 World Cup Qualifiers. Trinidad are the weakest team in the tournament and are even missing Kadeem Cobin, the player who led them to qualification, along with a few other players who are playing for Trinidad in the Gold Cup. Trinidad's roster is based on players who play in the T&T league and none really stick out as key players as even in that league teams choose to use more senior players. Of any a name that will probably be mentioned is Melvin Jones the squads top defender. I like Paraguay although also think Brazil, Uruguay, Mexico, Canada and Peru can see themselves as medal hopefuls. It is a bit unfortunate that the Pan Am games are in the shadow of the Gold Cup, Women's World Cup and a number of other soccer events this summer. Also, being connected to the rest of the games meant the tournament is not going to get the attention it deserves. On the positive side, I do like the idea of Canada hosting international soccer tournaments and we should not forget that because of the Pan Am games, Hamilton got a new stadium which gives locals a chance to experience the sport which will hopefully lead to a future pro team in the city. It also gives our future potential Olympians the chance to play together and even win a medal.